Since a child’s first set of teeth fall out to make room for the permanent adult teeth, some parents underestimate the importance of caring for them. That means that they don’t schedule an appointment to see a kid’s dentist until sometime in the early elementary school years. The American Academy of Pediatric Dentistry recommends that infants visit the dentist for the first time six months after the first teeth erupt or the first birthday, whichever comes first. This gets children off to a great start with their oral health in addition to helping them develop positive feelings towards visiting the dentist. You can do several things to prepare for your infant’s first dental visit that will make it easier for both of you. This starts with having an upbeat attitude about the appointment yourself so your child doesn’t pick up any feelings of anxiety. Try to schedule the appointment at a time when your child has recently eaten and isn’t due for a nap. If possible, arrange alternate care for other children and bring another adult along with you. This allows you to speak to the dentist without interruption while the other adult tends to your child if he or she becomes fussy. We designed the children’s section of our dental practice with bright, cheerful colors and placed age-appropriate books and games in the waiting area. When it’s time for your child’s appointment, we will review the health history form, address any questions you have, and ask additional questions about diet, pacifier use, and more. Our pediatric dentist then completes the evaluation with your infant facing you the entire time. We provide you with information on caring for your baby’s oral health and what to expect over the next few years as the first set of teeth erupt. O.C. 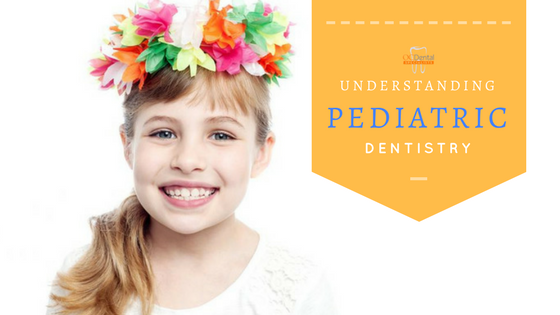 Dental understands that it can be difficult to find a good pediatric dentist. You’re welcome to schedule a consultation to learn more about our staff and services before bringing your child in for the first dental check-up.